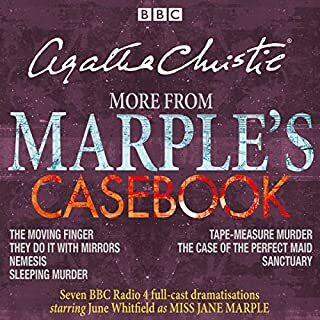 A BBC Radio 4 full-cast dramatisation starring John Moffatt as Hercule Poirot. Mrs Farrars is found dead of an apparent overdose one year after the death of her husband. The villagers of King's Abbot are suspicious. The rumour is that she poisoned her husband and was in love with Roger Ackroyd. When he is found murdered the following day, there is little to go on. Luckily one of the newest residents who has retired to this normally quiet village is none other than Monsieur Hercule Poirot. John Moffatt stars as the Belgian detective Hercule Poirot. "The ABC Murders": A chilling letter sets the sleuth on the trail of an enigmatic killer. "After the Funeral": A wealthy businessman is dead, and his sister thinks it was murder. "Death on the Nile": Poirot is in Egypt when a chilling murder takes place. "Peril at End House": Whilst on holiday, the sleuth encounters a young woman, a hat, and a bullet. "The Murder of Roger Ackroyd": Mrs Farrars is found dead, one year after the death of her husband. "Murder on the Orient Express": Poirot is aboard a snowbound train when a passenger is found murdered. "Three Act Tragedy": Poirot is one of the guests at a party when a clergyman dies whilst sipping a cocktail. 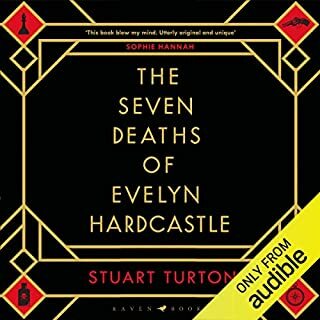 "The Mysterious Affair at Styles": Poirot and Captain Hastings become re-acquainted in a quiet English village in 1916. Loved it. The narration was very catchy. I could visualise all the characters and the situations. Kudos to all the contributors. A superb collection of old favourites. The stories are dramatized superbly by the best actors. a thoroughly enjoyable experience. 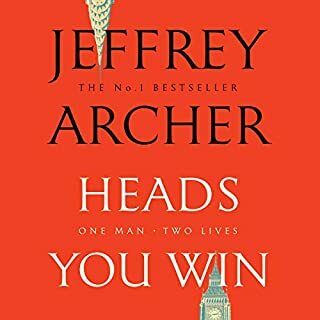 recommended for all Agatha Christie fans. it's like hearing a movie, only more imaginative. excellent voice performances. in many regards it's better than the books. gives a different angle to the stories. Would you consider the audio edition of Poirot's Finest Cases to be better than the print version? No, because these stories are abridged. 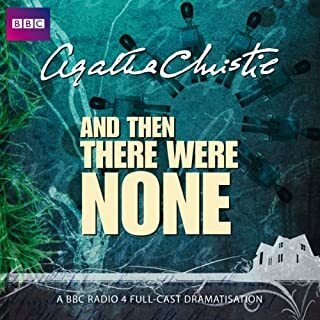 Agatha Christie's books are always a pleasure, including the selections on this audiobook. Have you listened to any of John Moffat and Full Cast ’s other performances before? How does this one compare? I have listened to a number and they are all very good. I suggest reading the books first. Because these are abridged, if you are not familiar with the full book there is a sense of gaps in the plots. It is most noticeable in the ABC Murders, After the Funeral, and The Mysterious Affair at Styles. 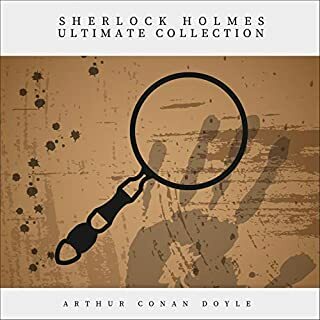 A Treat for your "Little Grey Cells"
This compilation of Poirot mysteries is extremely well done. The voice actors do a great job of bringing the stories to life- and the music and sound effects enhance the listening experience. 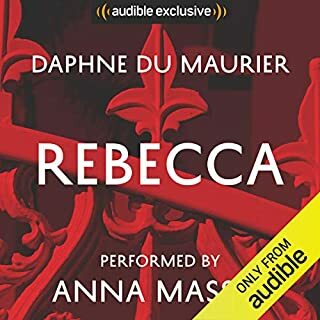 I like that these are radio plays instead of audiobooks- I love Christie's novels but these are much more fast paced. A few details get left out but the twists and turns Christie is known for are all still there. 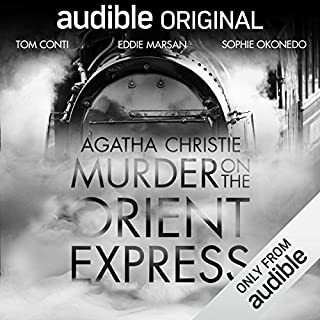 In this collection you get some of the best Poirot stories- my favorites being The Murder on the Orient Express and The Murder of Roger Akroyd. I'd recommend this collection to any mystery fan- it's a great intro to Agatha Christie's most famous detective and his most puzzling cases. Loved this boxed set equivalent. All my favorite murder mystery radio plays in one place. Awesome. 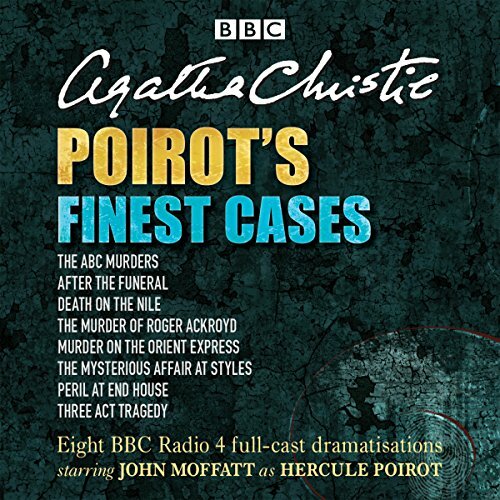 I love all the Poirot radio dramatizations so it was fun to have so many in one album! This will be a favorite! John Moffat as Poirot is always wonderful. Would you try another book from Agatha Christie and/or John Moffat and Full Cast ? Of course. I have a large selection of them already- this purchase was to upgrade some cassette recordings to digital. I shall do more and I will continue to purchase programs I don't already own. MIchael Bakewell does a great job adapting Christie's work and the performances are always first rate. I love the books but this allows me to revisit them without committing a huge amount of time. They're great for road trips as well. I have enjoyed many of Moffat's performances before. In my opinion he and David Suchet are the best Poirot's ever- and I would have a hard time choosing a favorite between the two. Moffat is wonderful for this medium but he wouldn't work visually. His performance is spot on. Do you think Poirot’s Finest Cases needs a follow-up book? Why or why not? A volume two would be nice, but I probably have many of them already. I'd probably still buy it. If you're an Agatha Christie fan the BBC dramas are a great way to get to know her stories, if you're not going to sit down and read the books themselves that is. They have the tone and flavor of her books and are beautifully adapted- even the shorter ones. The Murder Of Roger Ackroyd is a favorite book and radio drama, wonderfully adapted with great performances. This purchase would cost nearly $70 if bought separately. The price here is great. Go for it! Buy it now! I truly. enjoy full cast performances. They we're all done quite well. And no matter how many times I listen to them, I get the same pleasure as the first. 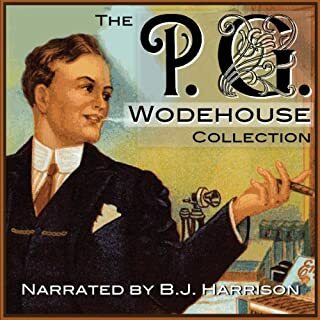 I just love old radio dramatizations, especially when they're as good as this. Perfect for long drives. Flawless performance as Hercule Poirot by John Moffat, and excellent cast performances all around. Well done. This is a great presentation of these stories. The sounds punctuate the dialogue perfectly. Very enjoyable. 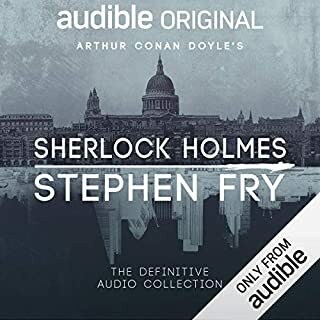 Why oh why do Audible seem to be incapable of producing box sets which tell you where you are? There are 8 stories & all we get is Chapter 1, Chapter 2, Chapter 3 etc. What happens if the listener wants to listen to, for example, Murder in The Orient Express first? It is ridiculous not to break up a box set into the actual stories, or at least to give The listener a clue! 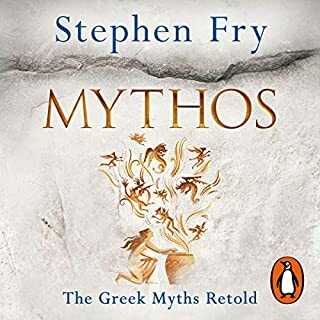 The performances themselves are excellent, but I cannot give 5 stars due to the impossibility of choosing which story one listens to. Firstly this is fabulous value for money and the acting in each one is charming and engaging. The word of Poirot and Captain Hastings need little introduction. However the magic and charm never fades. 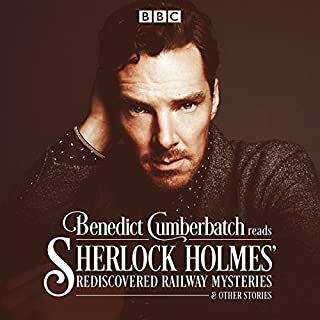 I can only recommend this audio dramatisation with out reserve. It is comforting uplifting and somehow safe. Whilst you don’t need to listen to Agatha Christie’s ‘Poirot’ particularly in any set order, I do wonder why these two collections have been organised so randomly. Is there any reason to their order? It isn’t in book or broadcast order. The first set contain the better stories and are more recently dramatised. 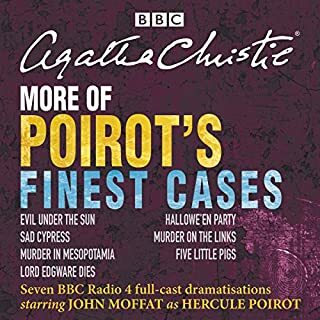 Expect there will be a third, and possibly a fourth, compilation as there are a further 10 Poirot stories dramatised by BBC Radio featuring John Moffatt. Would you listen to Poirot's Finest Cases again? Why? Of course. It's an excellent way to while away an hour or so listening to one of the Plays. 8 to choose from. Each story begins at the odd numbered chapters, so easy to choose the one you want. 8 Dramatiastions to choose from with the proverbial 'Jewel in the Crown' being, 'Murder on the Orient Express'. How can you go wrong. 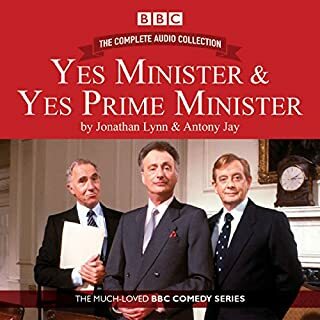 I have long enjoyed BBC Dramatisations and these deliver the usual expected quality. Maybe not all 8 stories in one sitting but certainly at least 1 story per sitting. 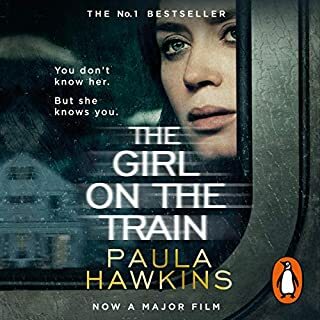 While nothing quite compares to the joy of curling up with an Agatha Christie paperback, these dramatised versions of her magnificent characters and plots comes pretty damn close. The performances effectively explore both the sublime and ridiculous (in the best way!) elements that drive each of these stories home. They add just enough 'tongue-in-cheek' to drive the story and glamour to perfectly capture the ambiance of interwar splendour. My enduring love for Captain Hastings is only deepened by the fantastic performance of Simon Williams, who captured his sweet naïveté without slipping into buffoonery. Have you listened to any of John Moffat and Full Cast ’s other performances? How does this one compare? I have listened to many of John Moffat's performances as Poirot. I enjoy the way that he not only shows the characters admirable qualities but also his irascibility and foibles. I was also pleased to hear casts that included many of my favourite voices on the radio and felt that they all excelled themselves. These dramatisations more than hold their weight with similar works by the cast. all the cast was remarkable! it felt like I was actually there! loved it ! Totally recomend it for all Agatha fans! Loved these radio adaptations and great to have a collection - Poirot on tap. Comfort listening at its best. More please. some detective fun, great whilst out walking, can't beat Poirot! He is his biggest fan! What made the experience of listening to Poirot's Finest Cases the most enjoyable? Really nice casting, good acting, and good scripting. These are some of Agatha Christie's most famous mysteries. What does John Moffat and Full Cast bring to the story that you wouldn’t experience if you had only read the book? I like to listen to this book while relaxing at home or to fall asleep if I'm travelling or having trouble sleeping. These books are ideal for that. I can listen to the same stories again and again and enjoy them. 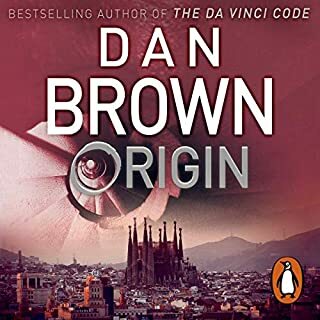 I loved this series from start to finish. The cat was amazing at their roles. Great value for my money. Just adore Poirot and there was even a couple i did not know. Fantastic stories and characters. 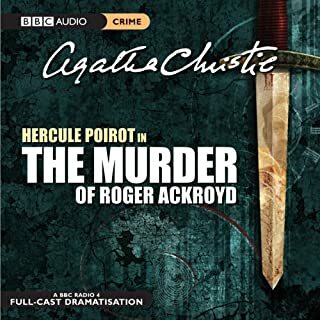 I love crime story’s and this audiobook on Poirot’s finest cases is just amazing I love it !!!!! Wonderful performance and gripping stories. Highly recommended! Moffet as Proirot delivers a cheeky but clever performance. 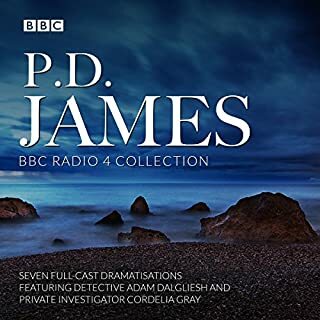 loved this series of stories, love the full cast performance, just a very relaxing and pleasant listen. 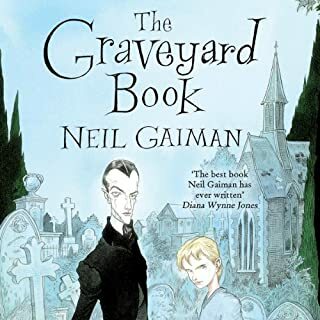 at first it was jarring because i am uses to the more recent adaptations, but once i got used to different voices from these old radio plays i loved hearing the stories played out with lots of humour and drama. Yes. It's a compilation of many stories. Poirot n Hastings, a perfect duet just like Holmes and Watson. This is the first. Looking forward to more. Clear easy to follow dialogs and plots. Excellent dramatisations!